Kung Pao Chicken is one of the best food things that can happen on a Friday night. Or for say, on any night when you are planning a Chinese dinner date. 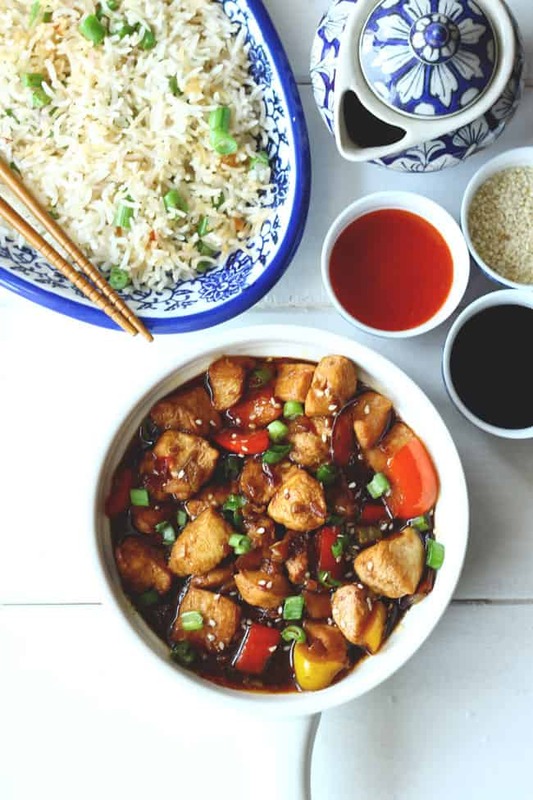 Kung Pao Chicken is the most popular Chinese takeaway fare. Why? Because it is so delicious. 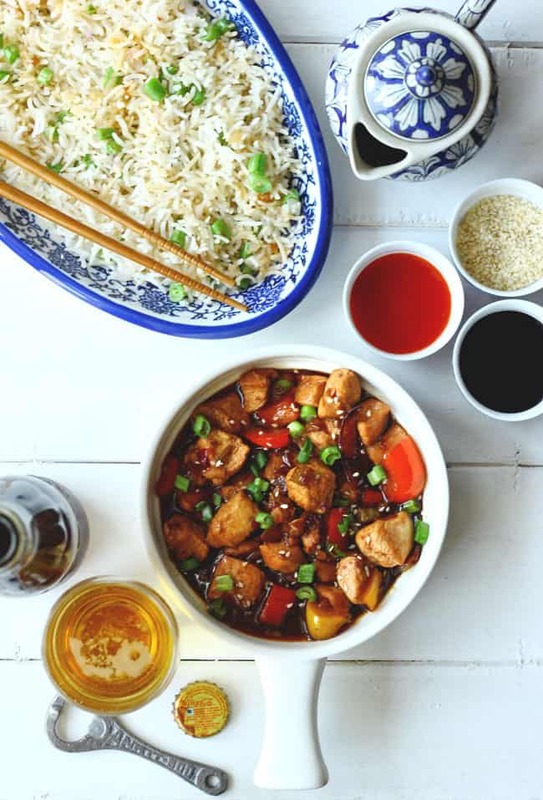 Along with a quick and simple fried rice, Kung Pao Chicken tastes simply divine. I am so fond of this dish that finally I learned the trick of making a good Kung Pao Chicken at home. Making Kung Pao Chicken is a super simple process. 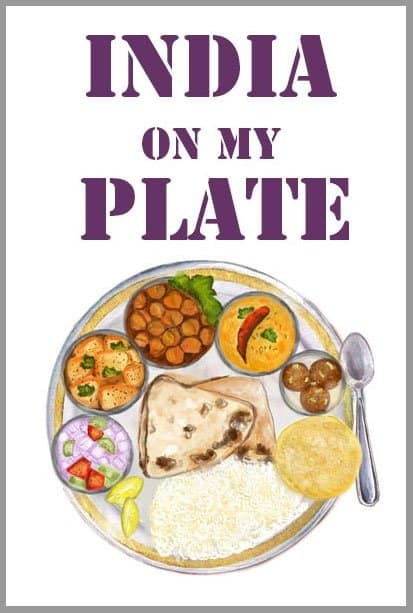 And the best part of making it from scratch at home is you can adjust the sauces and spiciness as per your choice. 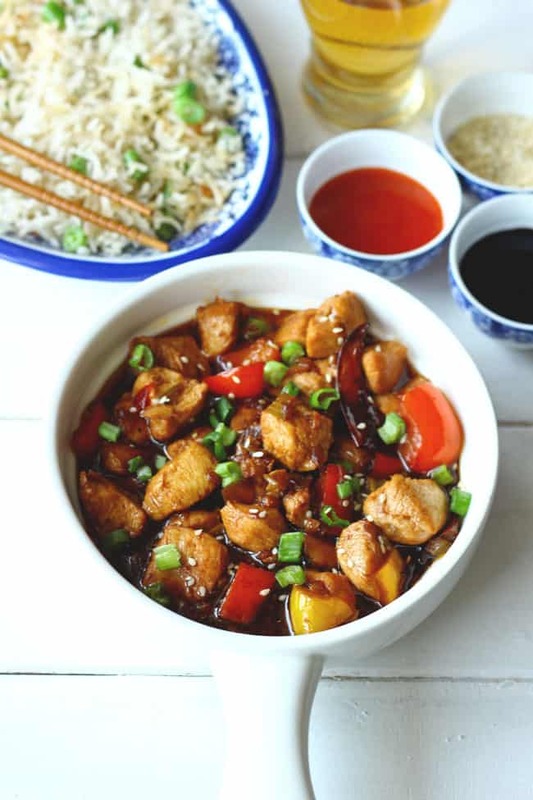 And there is a kind of satisfaction and proud feeling while serving such tasty homemade Kung Pao Chicken to your family and friends. 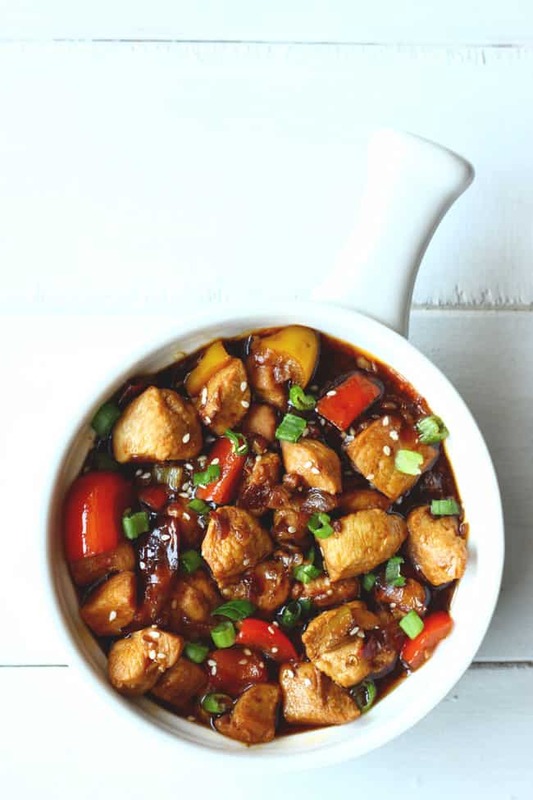 After watching a lot of recipe videos and browsing through recipes available on the internet, my conclusion is you cannot think of healthy and Kung Pao Chicken at the same time. It is the kind of Chinese dish which requires a bit of frying and involves cornflour. Without these two, I doubt there can be any good Kung Pao Chicken. 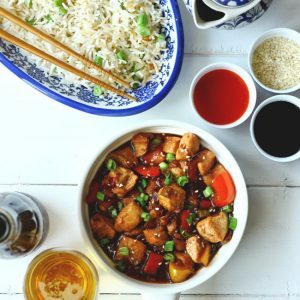 Coming back to the process of making an easy Kung Pao Chicken. Start with tasting the sauce mixture and adjusting it accordingly. If you like it fierce add more sriracha or if you prefer it little sweeter be generous with the brown sugar. And also, stick to even, bite-size pieces of meat for making the Kung Pao Chicken. This helps in the even and quick cooking of the chicken. The large pieces of chicken usually take a longer time to get cooked. Many of my friends ask if the cornflour can be skipped in this recipe. If you do not care about the consistency of the sauce then go ahead. But in my opinion, cornstarch in this recipe brings the sauce to the right consistency and get it clung to the chicken. Also, it gives a kind of crisp texture to the chicken pieces. Rinse the chicken pieces in water and pat dry with paper towels. Marinate the chicken pieces in oil, soy sauce, pepper and cornflour. Set aside for 15 minutes. Combine soy sauce, siracha sauce, vinegar, sugar, cornflour and water in bowl. Mix nicely and set this sauce mixture aside. Fine chop the ginger and garlic together. Heat up a wok with one tablespoon of oil. Stir-fry the marinated chicken pieces until they are 70% cook and turn pale white in color. In the same wok, heat a tablespoon of oil and stir fry the bell peppers for a minute. Transfer to a bowl and keep them aside. Clean the wok and heat the remaining oil. Add the chopped ginger, garlic and dried red chilies. Stir fry until aromatic. Add the chopped celery or spring onion and quickly stir-fry for less than a minute. Now add the chicken pieces and mix nicely. Add the sauce mixture, salt and stir until the chicken pieces are nicely coated with the sauce. Allow the chicken to cook in the sauce for 5 - 10 minutes. Once chicken is cooked add the bell peppers and mix. Turn off the heat. Garnish the Kung Pao Chicken with spring onion greens and sesame seeds. Serve Kung Pao Chicken with the fried rice ( see recipe ). Adjust the amount of salt as per the taste of the sauces and the sodium amount in each sauce.